Our apartments and studios are newly built (2009). For your comfort they are spacious and fully equipped. Kitchen, air-conditioning, living room, bathrooms and everything else you may need during your stay. 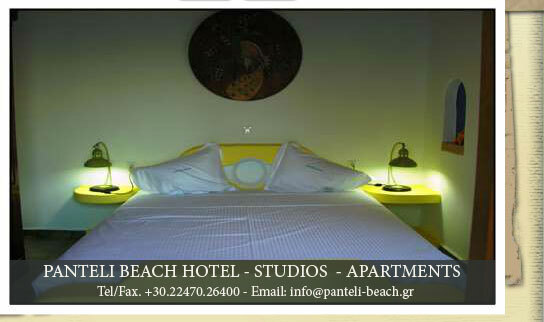 Panteli Beach apartments is just 5 min away walking distance from Village of Platanos and 10 min away from Aghia Marina. For the ones that want less tiring and comfortable holidays you can rent a car, scooter or bicycle!